Struggling with your weight isn’t something you have to deal with on your own. Dr. Ponomarenko and his caring team at Flower Mound Chiropractic, serving Flower Mound, Texas, and the surrounding area, are determined to help you meet your weight loss goals. With the ChiroThin™ system, and the support of Dr. Ponomarenko’s team, you’ll be on your way to reaching the new you in as few as 42 days. ChiroThin is a doctor-supervised weight loss program that provides you with supplements, dietary guidance, and behavior modification support. This natural dietary supplement gives you nutrients that boost fatty acid transportation and metabolism. ChiroThin supplements can even help stabilize your blood sugar levels, minimizing those hunger pangs you may have on calorie-restricted diets. Your body naturally becomes more efficient at burning stored fat and using it for everyday energy. ChiroThin isn’t just about taking supplements, though. Because it’s a doctor-guided plan, you’ll learn how to incorporate low-glycemic foods -- which don’t cause your blood sugar to surge and leave you feeling hungry -- and protein into your diet, to give you a well-rounded program. Dr. Ponomarenko’s goal is to help you lose as much as 20 pounds in just 42 days. How much does ChiroThin cost? ChiroThin is a revolutionary doctor-guided plan tailored to meet your needs. While the standard plan lasts 42 days, you may choose to go through the program multiple times to meet your weight-loss goals. During your initial consultation, Dr. Ponomarenko and his staff will help you figure out the ideal body weight for your frame, which will determine how many times you need to go through the program -- if you have more than 20 pounds to lose. To help patients meet their weight-loss goals, without breaking the bank, Dr. Ponomarenko provides a new patient offer to those who are new to the ChiroThin program. 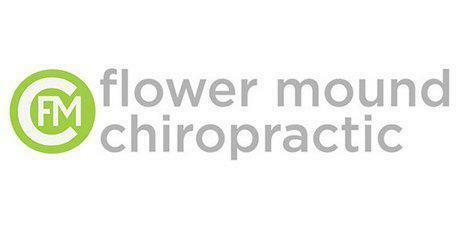 Simply mention the code “ChiroThin25” when scheduling your initial free consultation. This code entitles you to $25 off your first plan. Plus, Dr. Ponomarenko is so confident that ChiroThin will help you lose weight, he’ll give you a second round for free if you don’t lose 20 pounds during the 42-day program. You have nothing to lose -- except fat, of course.